Gary Johnson is no stranger to taking on partisan political forces. He was elected Governor of New Mexico as a Republican in an overwhelming Democratic state – and re-elected to a second term by a wide margin despite being challenged by a popular and well-known Democrat. Despite his two terms as Governor, Gary Johnson still prefers to call himself an entrepreneur. To pay for college, he started a door-to-door handyman business. Twenty years later, the one-man-shop had grown into one of the largest construction companies in New Mexico, with more than 1,000 employees. As a businessman, Gary ran for Governor with no prior political resume other than his college political science degree and a passion for helping people. And although Gary considers himself to be libertarian-minded, he has always believed that good public policy should be based on a practical cost/benefit analysis, rather than strict ideology. Johnson is best known for resisting the temptation to solve every problem with government spending and regulation, having vetoed more than 750 bills during his time in office — probably more than all other governors combined. He also cut taxes 14 times while never raising them. He balanced the state’s budget, and left New Mexico with a billion-dollar surplus. Governor Johnson did that for New Mexico. Imagine what he can do for America. Yet, despite cutting taxes and the size of government, he improved New Mexico schools, executed a major infrastructure overhaul, and earned national accolades for his leadership in handling the devastating Cerro Grande Fire that swept across the state in 2000. So, in the 2012 presidential election, Johnson participated in the Republican Party primary. Not surprisingly, his socially tolerant positions combined with his belief that the United States should not be the policeman of the world were marginalized in a Republican primary that seeks rigidity and ideological purity. As an avid skier, adventurer, ironman, and bicyclist, Gary has scaled the highest peak on each of the seven continents, including Mt. Everest. Johnson was raised Lutheran. 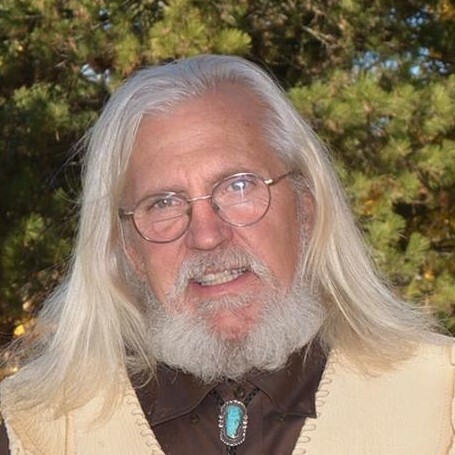 He has two grown children, a daughter Seah and a son Erik, and currently resides in a house he built himself in Taos, New Mexico. 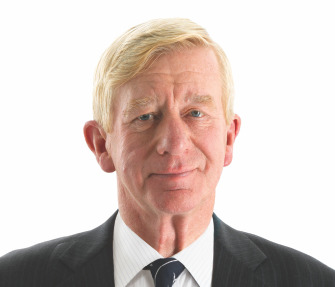 William ‘Bill’ Weld was elected Governor of Massachusetts in 1990 with 51% of the vote. More importantly, he was re-elected in 1994 with a record breaking 71% of the vote, a record that still stands today. What does this landslide victory say about a former Republican in a Democratic state? Simple. He served the people, not just the voters from his political party. How did he do this without compromising education and other important state functions? That’s simple, too: He doesn’t believe that a government that looks to your pocket book to solve every problem is a healthy way to conduct policy. Rather, Governor Weld identified areas of government inefficiency, spending that was not serving the public interest, and got rid of wasteful programs that would never be supported if the people knew just how unproductive they were. He did this, in part, by championing programs like those that helped welfare recipients get jobs to reduce their long-term reliance on government assistance, improve their self-reliance and self-esteem, and in turn, create a more productive society. That’s why, in 1992, he was rated the most fiscally conservative governor in the United States by the Wall Street Journal. And more importantly, the unemployment rate in Massachusetts plummeted from the highest among the eleven industrialized states to the lowest by the end of his first term! But don’t think that Bill’s pursuit of fiscal responsibility prevented him from his personal belief in social tolerance. Bill was not only an early proponent of civil rights for gays and lesbians, he actually appointed the judge who wrote the opinion that established marriage equality as a matter of constitutional right. He was also an outspoken defender of a woman’s right to choose, rather than allow the government to make such an important and personal decision for them. As Governor, Bill led 16 trade missions to Asia, Africa, Europe, and Latin America, and during the past decade, has traveled widely in connection with his international law and business consulting practice. He served as national co-chair of U.S. Term Limits, and of the United States Privatization Council. In his earlier career Bill served as a federal prosecutor for seven years, winning convictions in 110 out of 111 public corruption cases brought by his office. Bill and his wife Leslie Marshall make their home in Massachusetts and have eight children. Along with Governor Gary Johnson, he is the most experienced former executive running in the race for the next President of the United States of America. Ted Dunlap was born and raised in Sonoma County, California. He served in the U.S. Air Force from 1968 to 1972. Dunlap is a graduate of Santa Rosa Junior College, and has studied business management at Sonoma State University as well as economics at Ludwig von Mises Institute. He has extensive training and experience working in groups, leading, supervising, and managing. Ted Dunlap is married to Missy Dunlap, and together they have a combined family of seven children and twenty grandchildren. Dunlap moved to Idaho in 2000, where he served as Chairman for the Libertarian Party of Idaho from 2002 to 2006. In 2013, Dunlap moved to Montana for its beauty and embrace of liberty. His political activism from 2000 on has been devoted to fostering personal responsibility and an independent spirit. As a Libertarian Governor of Montana, Dunlap would be an ardent defender of life, liberty, and property. Roger I. Roots, Libertarian Party candidate for Secretary of State, is a 4th-generation Montanan, a federal appellate lawyer and constitutional scholar, a builder and a weekend mountain climber. Roger grew up in Big Timber, graduated with high honors from Montana State University—Billings (B.S., Sociology) and then obtained a law degree, a Masters degree in Criminal Justice (from Roger Williams University in Rhode Island) and a Ph.D. in Sociology from UNLV in Nevada. Roger has been awarded numerous honors and has written numerous scholarly articles in law reviews and peer-reviewed publications. Some of his research on constitutional history has been referenced by federal courts. As Secretary of State, Roger will ensure the absolute integrity of Montana elections, ballots, charters and certifications. Roger will also work to expand the choices available for Montana’s voters by implementing approval and rank voting systems wherever possible. Roger Roots believes the primary threat posed to the integrity of Montana elections is the threat of government interference in campaigns. He will work tirelessly to make elections free from governmental influence and interference. Rick Breckenridge is a professional land surveyor in Proctor, Montana. Rick entered the US Army in 1977 and attended basic training and AIT at the Military Police School at Ft. McClellan, Alabama. He was sent to Germany where he was stationed at a nuclear weapons depot, NATO 111. Later he was transferred to the Big Red One in Goppingen. He was commissioned in 1983 in the Infantry and, after a serious car accident, resigned his commission in 1994 with the rank of Captain. Rick worked for the Bureau of Land Management as a Cadastral Surveyor and came to Montana in 1984. The BLM transferred him to Arizona to the Navajo Reservation. After two years, he went to Oregon and worked for the Lane County Surveyor’s Office until the BLM called him once again to work as a Geodetic Surveyor. In 1993, Flathead County hired Rick to develop a Geographic Information System. He, with the help of six county governments, the BLM and the University of Maine, developed an information system that became the Montana Cadastral Mapping Project. He has been a licensed professional land surveyor in Montana since 1994. Rick has been active in the legislative process since the 1997 legislature focusing on property rights and subdivision laws. He has been in private practice as a professional land surveyor since 2003. He works with his two sons, Lucas and William who are both professional land surveyors, in Montana and Hawaii. Rick resides in Proctor with his wife, Tracy Rae. At twenty years old, Ian Wheeler is among the youngest of the candidates on any ballot across Montana this year. Despite his youth, Ian has a solid grasp on the issues important to Montanans and is determined to use his fresh perspective and energy as an advantage in this election. For years, Ian has studied libertarian political philosophy. He is dedicated to returning power that has been relinquished to the federal government back to the state, standing up for individual rights, and limiting the overall size and scope of government. His priorities upon gaining office would be to uphold the people’s right to a clean and healthful environment and to focus on each individual’s right to privacy. Most importantly, Ian wants to help spread libertarian ideas on the local level and disrupt the political duopoly gripping this nation. Ian is a Political Science student at the University of Montana and has been a resident of Flathead County since 2003. Along with running his own campaign this semester, he has started a soccer club on campus and is an active member of the Students for Liberty club at UM. Josh Daniels was born in Billings and raised in Laurel, Montana. He attended MSU - Bozeman and later graduated from Colorado State University, obtaining a degree in Political Science with an emphasis on pre-law. During a semester abroad at the London School of Economics, he interned with the Liberal Democrats for the Mayoral race, where he focused his efforts performing outreach on race-related issues, and assessing and critiquing a UK white paper on drug policies. Josh has worked in a variety of fields, gaining valuable experience in areas as diverse as management, botany, landscaping, and currency trading. In 2009, he was diagnosed with Multiple Sclerosis, and became involved in medical marijuana advocacy. He joined Montana NORML to help reform Montana’s drug laws, and to reduce the impact of the “War on Drugs” and the government’s baseless interference with personal healthcare decisions. Devoting his time to researching the benefits of medical cannabis, Josh regularly volunteers at clinics to advise new patients on the process of cultivation and harvesting. From 2012 to 2016, he served as the Republican precinct committeeman in Billings, where he supported Ron Paul and educated voters on medical marijuana issues. He owns land in Oswego, near Wolf Point, where he has a provisional license to grow hemp, and continues to campaign for changes in Montana’s drug laws so they will no longer interfere with the property rights of Montanans. Josh Daniels has joined the Libertarian Party for its alignment with his own principles of fairness, personal freedom, and practicality. Following the words of Samuel Adams who said, “It does not take a majority to prevail… but rather an irate, tireless minority, keen on setting brushfires of freedom in the minds of men,” Josh works to start those brushfires in his fellow Montanans. As the Libertarian candidate for Montana House District 43, Josh advocates for the expansion of freedom for his constituents, so that they may live equally in liberty without fear of unjust intrusion by government into their personal lives. As the voting public looks for options beyond the ‘D’ and ‘R’ that divide our country, and seek a candidate working to unite people on common ground, Andrew Forcier has entered the Montana House District 57 race to offer the Libertarian option to voters. A resident of Stillwater County since 2013, Andrew brings over a dozen years of experience in high-growth and entrepreneurial enterprises to the HD57 ticket, and knows what factors lead to job creation and industry growth. Currently a human resources consultant, Andrew held the elected office of Precinct Committee Officer while a Washington State resident, where he witnessed firsthand how established party leadership serves itself, and not its constituency. Andrew became a Libertarian after watching the ‘party of small government’ abandon its principles of fiscal conservatism while expanding its reach into the homes and lives of every American, trampling their civil rights in the process. He understands that the majority of the Americans want a party representing them in a government that protects their individual liberties, and not one that continually expands to increase regulation and confer new entitlements with each passing year, as both the Democrats and Republicans have. Andrew graduated from Rutgers College with a B.A. in Political Science and also holds an M.B.A. in Strategy & Business Analysis and Marketing from Boston University’s Questrom School of Business. He and his wife Jeni, an equine veterinary technician, live south of Columbus. Francis Wendt was born in Great Falls, Montana, the youngest of fourteen children, and now resides in Bozeman—the birthplace of his mother. Following in the footsteps of both his father and sister, a twenty-year Air Force Veteran and twenty two-year Army Veteran respectively, Francis enlisted with the Air Force at the age of eighteen. He deployed three times during his six-year service, including in support of Operation Iraqi Freedom and Operation Enduring Freedom. Following service with the Air Force, Francis pursued higher education, focusing on Business Management and Economics. During his studies, he was introduced to the Libertarian Party, where he found the balance he’d sought between the rights of personal freedom and the eloquence of our country’s founding principles. Since that discovery, Francis has been a stark defender of individual rights and accountability. Francis returned home to Montana in 2006, and remains active in the community through his involvement in the theater—be it acting, directing, producing, or working behind the scenes. His passion is to strive for the truth in his every endeavor. Applied to the theatrical arts, this idea has produced honest and compelling stories that have entertained tens of thousands throughout Southwestern Montana. Francis was privileged to serve on the board of directors of the Park County Theatre Guild and as President of the Blue Slipper Theatre in Livingston. With the rediscovery of his political alignment and the realization that his true calling is to public service and the people of Montana, Francis reenlisted in the Montana Army National Guard. He was called upon in 2013, when the Governor of Montana activated portions of the 1-163 Combined Arms Battalion to help redistribute firefighting personnel, in the efforts to contain the Lolo fires in Northwest Montana. Paula Bonar was born in Glendive and raised in Billings. She moved to Helena in 1978, following a job in Social Work, and has made it her home ever since. Paula attended Carroll College where she studied Communications with a minor in Drama, and later earned an Interior Design degree. She’s been a local business owner since 1986, and is the proud parent of two children and 5 grandchildren. Paula is passionate about representing the Helena community, and its constituents, as a Libertarian candidate. As an advocate for the evidence-based benefits of cannabis use, Paula is fighting for the reasonable and fair access to marijuana that Montanans voted for in 2004. She aims to bring cannabis legislation in-step with the twenty-first century, and to discuss the medical, environmental, and financial benefits that cannabis has to offer. As a legislator for Montana House District 84, Paula would challenge the unnecessary mass incarceration and waste of government resources plaguing the state.